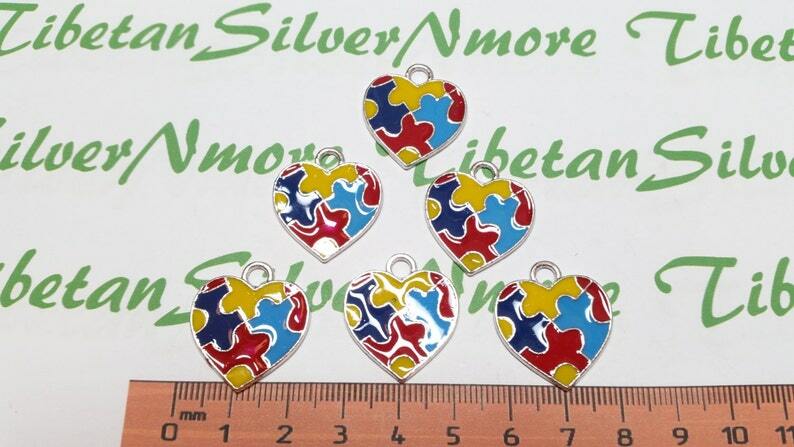 Antique Silver Finish Lead Free Pewter 6 pcs per pack 25x22mm Enamel Colorful Puzzle Heart charm for Autism Awareness. Came in on time and they look great. My family loved it! A great way to promote awareness. Super happy with my purchase! Turned out awesome!!! Thank you!!!! Great product, great customer service and FAST SHIPPING!!!!!!!!!!! !